The New Zealand Powerball was introduced in 2001, and is on an add on to the main game and is drawn in conjunction with the main lotto every Wednesday and Saturday. Purchasing a New Zealand Powerball number enhances the traditional lottery line. In order to play, at least four Powerball numbers must be purchased per ticket, this is at a cost of 60 cents a line. The New Zealand Powerball is a number between one and ten and it is drawn from a different machine than the main lottery draw. If the winning New Zealand Powerball number also shares a line with the lotto winning numbers then the ticket holder wins both a share of the Powerball pool, and the main Lotto draw. 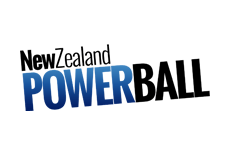 In order to win the first division New Zealand Powerball – you must also win the first division Lotto and the winning New Zealand Powerball number has to be on the same line. The first division prize is a minimum of $4 million, however the chances are 1 in almost 40 million. This jackpot, though, can secure up to $40 million. If the jackpot exceeds over $40 million a Must Be Won draw is held and if there is still no winner the prize draw is split between the next division with winners. When it was introduced the New Zealand Powerball was drawn from just eight numbers and the prize was a mere million. The jackpot was initially $15 million and gradually rose to $30 million. It wasn’t until 2007 that the Powerball changed to 10 numbers and the minimum prize went up to $3 million. It was in 2010 that the price was raised to 60 cents from 50. This then saw the minimum prize rise to $4 million and the maximum reached its current $40 million. A New Zealand Powerball win in conjunction with Lotto Division 2 averages a prize of $,7093. Your odds of winning are 1 in over 6 million. New Zealand Powerball and Lotto Division 3 average win comes in at $206, with odds of just 1 in almost 200,000. In wrung 4 the average win is $20, with odds of 1 in almost 80,000. This falls to $11 for Division 5 and Powerball, and $10 for Division 6 and Powerball. The average win for someone who wins the Powerball and matches 3 numbers comes out at $12, with odds of only 1 in 352. The largest ever New Zealand Powerball prize that a single ticket won was $33 million, the draw was on the 28th of September, 2013. The ticket was sold in Ponsonby in Auckland. In 2008 2.5 million tickets were purchased for a must be won $30 million draw. There were no First Division winners, thus the jackpot trickled to the Second Division where 5 winners each received just over $6 million. The only way to take part in New Zealand Powerball is by purchasing a ticket for New Zealand’s Lotto. You can choose your own numbers, or allow a machine to create lucky dips of 10, 15 or 20 lines that are generated randomly. You can purchase your tickets up till 7:30 on draw day, whether you opt to create your ticket online or buy it in a local shop. If you choose to play online you can create a subscription and pay automatically, you’ll never forget to take part in the draw!